Designed to replace nails in certain connectors, the load-rated Strong-Drive<sup></sup> SD screw has been tested and approved for use in many popular Simpson Strong-Tie products. The SD structural-connector screw features an optimized shank which is specifically designed to be compatible with the fastener holes in Simpson Strong-Tie connectors. The hex head virtually eliminates cam-out and helps avoid stripping of the head during installation. The sharp point of the screw enables fast starts, and the patented serrated threads reduce torque for improved drivability. Joist hangers are designed to provide support underneath the joist, rafter or beam to provide a strong a connection. Simpson Strong-Tie offers a diverse line of hangers to handle almost any application with top flange, concealed flange and field skewable and slopeable options. LUC joist hangers provide a connection between joist and header. Not only do angles make joints stronger, they also provide more consistent, straight corners. Simpson Strong-Tie offers a wide variety of angles in various sizes and thicknesses to handle light-duty jobs or projects where a structural connection is needed. Some can be bent (skewed) to match the project. For outdoor projects or those where moisture is present, use our ZMAX<sup></sup> zinc-coated connectors, which provide extra resistance against corrosion (look for a "Z" at the end of the model number). Simpson Strong-Tie Joist Hanger 2 x 6 Slopeskew 18 Ga. This joist hanger connects a joist or rafter to the header, sloped up or down, and skewed right or left, up to 45. These adjustments can be made in the field. 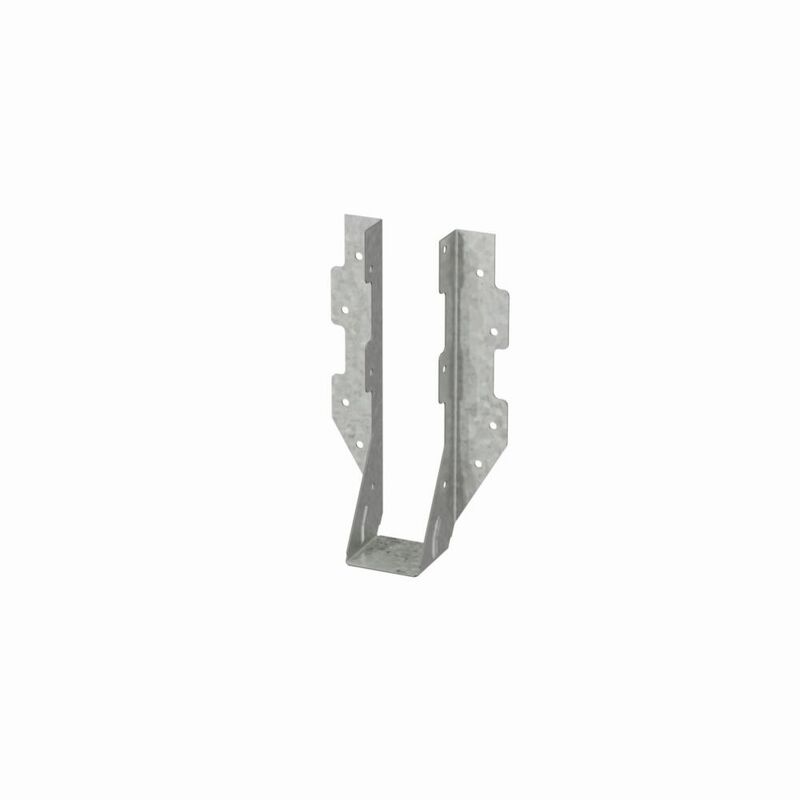 LU 2 x 8 Face Mount Joist Hanger Simpson Strong-Tie connectors make projects easier to build while making them stronger and safer. They are engineered and tested to perform and are manufactured to the highest quality standards. Whether working on a home project or building a structure to comply with building codes, go with the choice of engineers and contractors, go with genuine Simpson Strong-Tie connectors. The standard LU hanger provides flexibility of joist to header installation.